DA-WIN is the end of the manual PCI wireless scan DA-WIN provides an organisation a continuous wireless scanning capability that is light touch and simple. It utilises compact and discreet sensors that can easily be deployed reducing the total cost of protection and simplifying the effort required for absolute, categoric regulatory compliance. 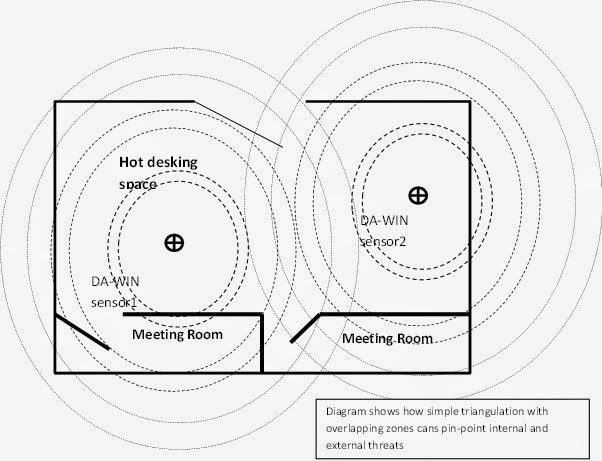 DA- WIN (pronounced DARWIN) is the evolution of wireless security scanning. Developed by a team that had a significant impact on the field of 802.11 security, it embraces the true-ism that most organisations don't like or embrace network IDS technology and so are unlikely to welcome, invest in or support an IDS implementation in a more specialised area like Wfi.